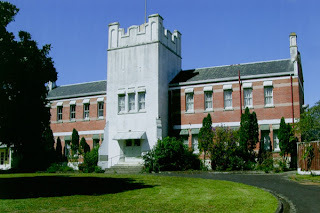 Fifty years ago on 5 August 1963 the Health Department's Division of Mental Health began using the former Papatoetoe Orphan Home as a hospital for intellectually handicapped children. 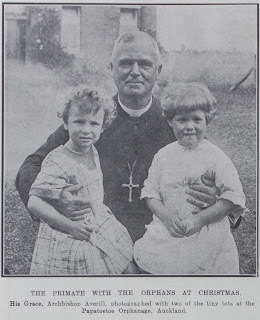 The home, also previously and variously known as St John’s Orphanage, St Mary’s Home and the Church of England Orphan Home was now renamed St John’s Home. 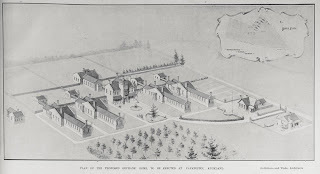 St John’s Home eventually became a satellite home of the Mangere Hospital (in Robertson Road) for young people with intellectual handicaps. 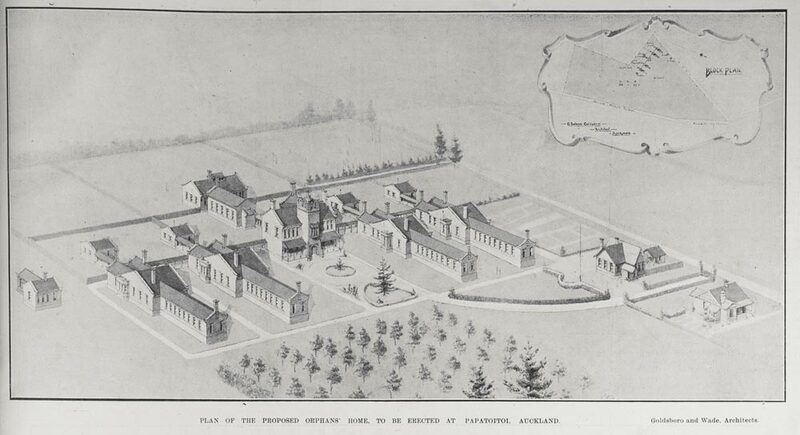 Papatoetoe Orphan Home had been laid out according to a 1907 plan by the architect George Selwyn Goldsbro’. 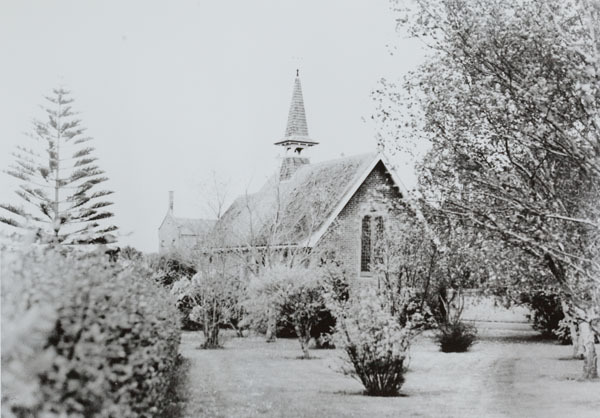 In 1918 the Orphan Home Trust Board decided to create a Home Chapel for the orphans and the people of Papatoetoe. The orphans themselves helped raise funds for this project. The chapel's foundation stone was laid in September 1918 and construction was completed in 1919. The chapel was consecrated as the Chapel of the Holy Saviour. In the home’s first decade there were many applications to admit children and to relieve some of this pressure a two-storey central administration block, which included an extra dormitory for older girls, was built during the 1920s. It was opened in May 1923. 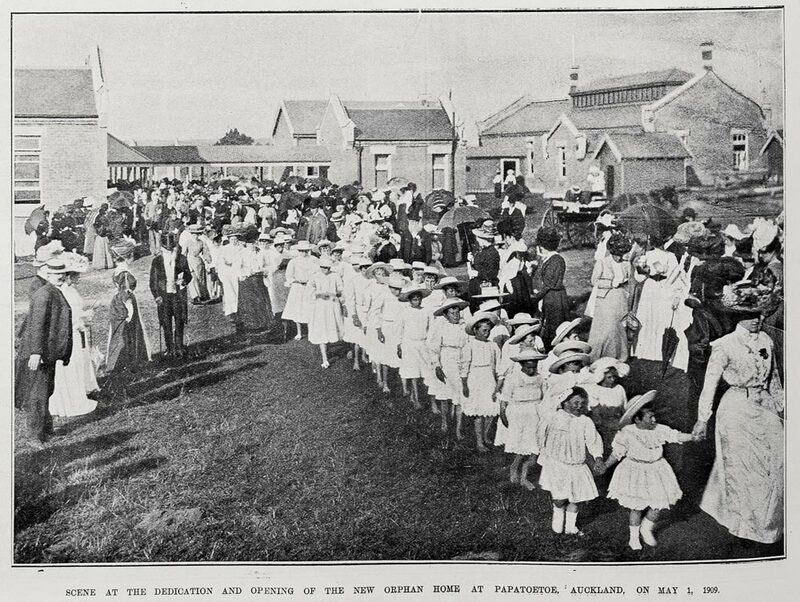 Orphans were usually aged between 2 and 9 when they were admitted to the Papatoetoe Orphan Home. Boys could stay until they turned 14 and girls until they turned 16 years of age. When they were not at church, school or play, young boys had to work in the home’s vegetable garden. Boys aged between 12 and 14 worked on the home’s farm. Young girls were taught housekeeping duties, and older girls aged between 14 and 16 were trained as domestic servants. I was a young resident there during the 1940's. How can I find out more of the history of this place ? 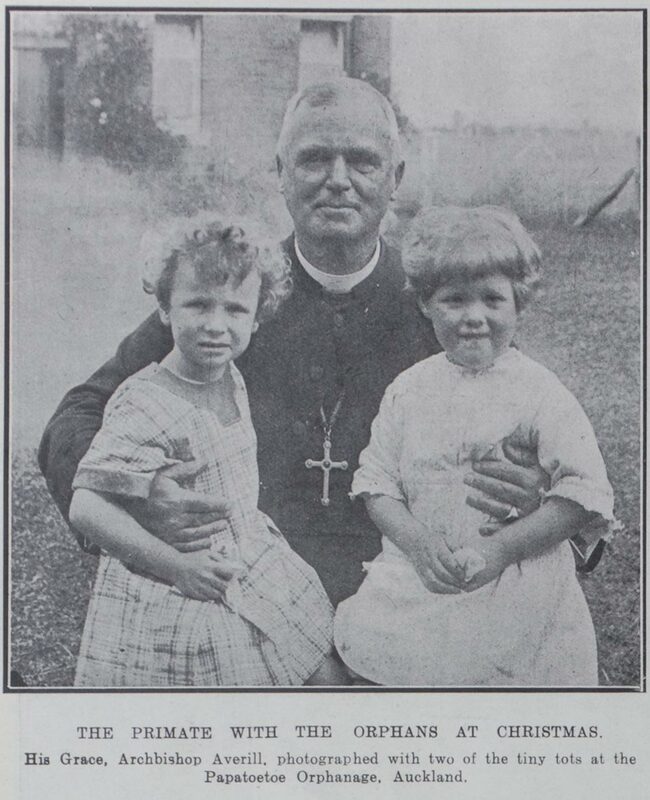 The best place to start would be getting in touch with the South Auckland Research Centre as they hold the Papatoetoe Orphan Home Photograph Collection as well as some other related materials. Some of the records are restricted access but the staff at the South Research Centre will be able to give specific advice around that. Contact details for the South Auckland Research Centre are on the main Auckland Libraries website and the phone number there is: Tel: 09 261 8637. I'm part of the team who are working on restoring the old Home. Another place you can get information about the place is the Papatoetoe Historical Places Trust. Main contact is Jenny Clarke. HI, Can you please help or give assistance how to find out orphan's whom attended this home My Nana was an orphan and believe this could of been where she was put, she was born 1925 and believe she could of been there from 1930-1948. Plus also to find out whom put her in this home. She told me she used to visit family in the holidays around Papakura area, not sure how far that is from papatoaetoe? My colleague Andrew provided the following information in reply to an earlier comment: the best place to start would be getting in touch with the South Auckland Research Centre as they hold the Papatoetoe Orphan Home Photograph Collection as well as some other related materials. Some of the records are restricted access but the staff at the South Research Centre will be able to give specific advice around that. Contact details for the South Auckland Research Centre are on the main Auckland Libraries website and the phone number there is: Tel: 09 261 8637. Another organisation to contact is the Papatoetoe Historical Places Trust.